Started coaching since 2010. A 70.3 and 140.6 age group winner. My coaching is not limited to my home state of Florida and remotely coach around the United States. In Florida, I am able to give swim analysis, one on one coaching and running analysis. I also coach cyclists wanting to improve their power on the bike, and runners preparing for full and half marathons. I rely on the science of the sport to help my athletes improvements and allow them to reach their goals, while having fun. I am a USAT Level I coach; USATF Level II Endurance coach, USAC Level 3 coach; US Masters Level 2 swim coach; Training Peaks Power Certified; Training Peaks Level I coach; Swam competitively in High school and college, was a high school swim coach. 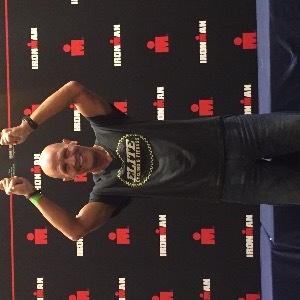 I have considerable knowledge as it relates to my athletes training with power meters, I am knowledgeable in Training Peaks WKO4 and Best Bike Split. My coaching style would be described as "Detailed". I believe a workout description should be wrote in such a manner that the athlete understands the goals of the workout and its intent, so that the workout is executed correctly. Success. Coach Martin Sudut has been notified of your message.